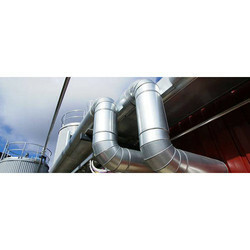 Armaflex pipeline cold ducting is a special type of cold ducting method especially carried out for pipelines. 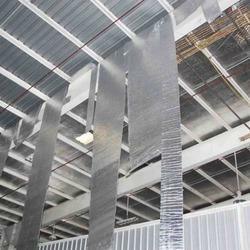 This cold ducting is performed in adherence to the recommended guidelines of the industry. To make us more client specific we also offer customized solution as per the specifications of our clients. Owing to the proficiency of our workers in this field, we provide a variety of Heat Thermal Insulation Service. This is very known and reasonable service provided by us among our customers. With enriched industrial experience and knowledge, we are rendering qualitative Thermal Insulation service. Counted among the prominent organizations, we are offering a wide range of Thermal Insulation Services. Imparted with excellence and perfection, these insulation services are broadly valued and acclaimed amid our patrons. In addition to this, we are offering these insulation services to our patrons as per their varying demands within the specified span of time. For both Hot and Cold Phase Insulation Indoor & Outdoor. Conductive and convective insulators. Bulk insulators block conductive heat transfer and convective flow either into or out of a building. The denser a material is, the better it will conduct heat. Because air has such low density, air is a very poor conductor and therefore makes a good insulator. Our engineers design tailor-made solutions, which meet all requirements, to protect ships against heat and cold.Thermal insulation is a complex issue, especially on cruise ships and yachts, because of space constraints and the very different climatic conditions which exits at sea.Keeping a comfortable climate is particularly important on passenger ships sailing on the seven seas. - We can visit customer's site and suggest thermal insulation solutions as well as selection of suitable insulation materials to make their processes more "Energy Efficient" by reducing heat losses. Tristar is one of the largest service providers for thermal insulation for the construction industry. Tristar offers exclusive range of products for thermal insulation for roofs and cavity walls, curtain walls & cold storages.